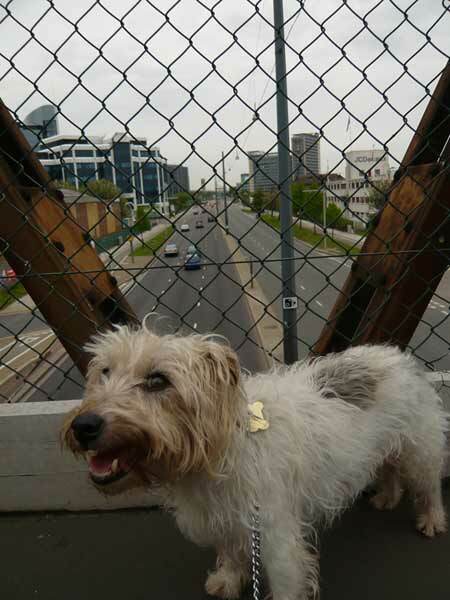 Me on the foot bridge between the old Firestone Factory and the Pyrene factory. Looking east along the ‘Golden Mile’ towards Chiswick, you can still see the former Curry’s factory, but many of the other art deco factories have gone now. You can just see the top of the new(ish) Glaxo Smith Kline HQ. I don’t live in the area now, but this must be where the former Great Western Railway’s Brentford Branch used to cross. There used to be a trussed girder bridge here. Not of any architectural merit though! The line now terminates just to the north of the Great West Road, at a waste terminal. Mentions of Firestone Factory where my Dad worked after the war instead of going into Civil Service; motor cars and tyres got the better of him. The Firestone Americans accidentally on purpose let a wreckin’ ball into the building.